What an adventure! 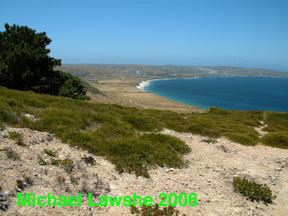 Santa Rosa Island’s windswept hillsides met the sea with white sand beaches. We went to the island for the day and were fortunate to catch a ride with a Channel Island National Park docent who took us up to the lone stand of rare Santa Rosa Island Torrey pines. 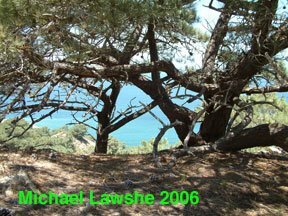 The small gathering of pine trees huddles on a single slope to the sea and no where else in the world. 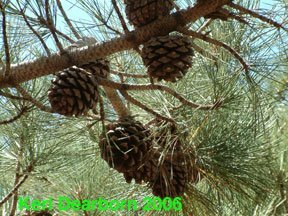 Different from their closest relative on the mainland, this island species has smaller cones with larger pine nuts. 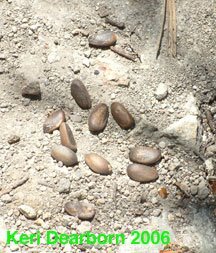 Each pine nut was nearly the size of a shelled almond. 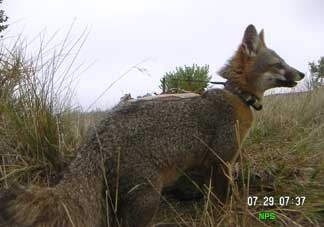 Would an island fox eat a pine nut? Like so many plants and animals on the Channel Islands these trees are unique. Their dark green needles are long and thick and form a domed protection from the wind. Sheltered in this conifer oasis were house finches, Pacific slope flycatchers and a pair of San Clemente Island spotted towhees. We looked for island foxes, but didn’t see any. 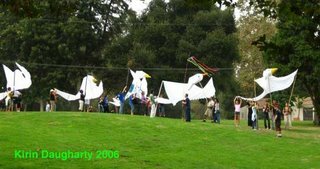 The hike back to the dock wandered across grassy slopes and the remains of ranching. 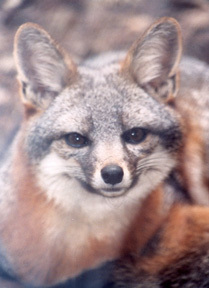 For thousands of years prior to the arrival of Europeans, the island fox was the largest land animal on the islands. I couldn’t help but wonder how much of the native landscape had been altered by large grazing animals brought to this delicate island by people. 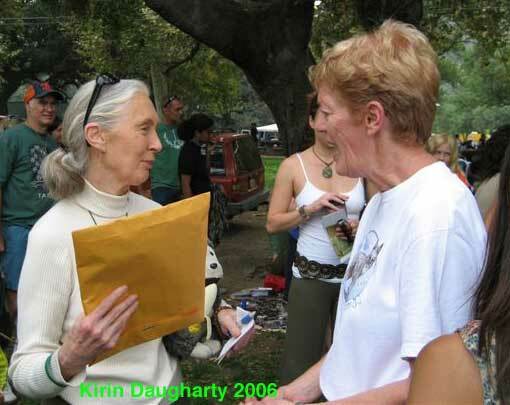 Keri Dearborn is a Friends of the Island Fox, Inc. board member and a writer living in Los Angeles, CA. 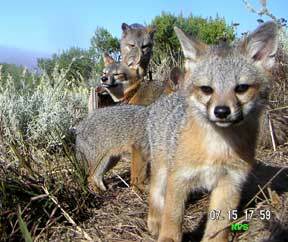 The Santa Rosa Island fox needs your help.